People Pedal CHS (the downtown bike plan) has begun implementation with shared-lane markings (“sharrows”) on select city-owned peninsular streets. Sharrows remind users that people on bicycles and in motor vehicles alike are to respectfully and safely share the space. The City of Charleston’s Traffic & Transportation Department started on June 6, 2018 with Hester Street, and will install more on specific city streets through mid-July. 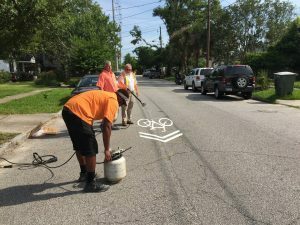 Charleston County is also coordinating sharrow installation this summer, alongside resurfacing projects that align with the plan. 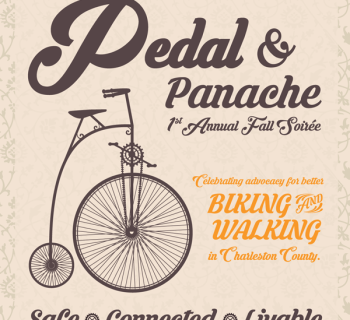 In 2014, Charleston Moves and the City of Charleston began collaborating to develop a "minimum grid" for moving around the peninsula by bicycle. As part of this process, over 1,300 constituents submitted their preferred bicycle routes to inform the network. With the plan now complete, the network identifies design treatments for different types of downtown roadways. While certain neighborhood streets are safe for people on bikes right now, other streets will benefit from sharrows, and high-trafficked streets require protected bike lanes or even separate paths. 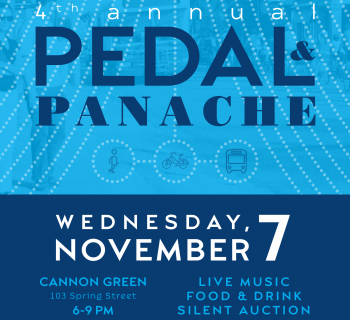 People Pedal CHS is the first comprehensive bicycle infrastructure study for downtown Charleston and is vital to creating a safe and connected transportation system. Ensuring the highly-populated peninsula is safe for biking also ensures connections to current and future public transit projects and improving roadways to be safer for motorists. 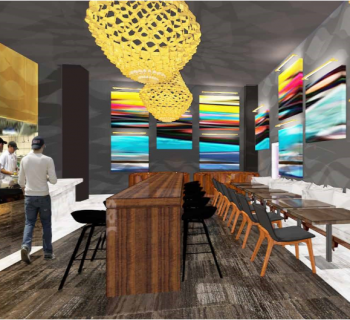 Charleston Moves encourages mobility by bicycle and on foot for the improved health and well-being of greater Charleston – our people, neighborhoods, business districts and overall economic competitiveness. 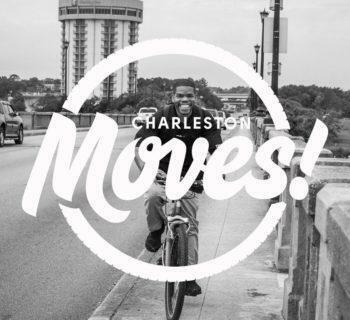 Join the movement and support their work by visiting CharlestonMoves.org!